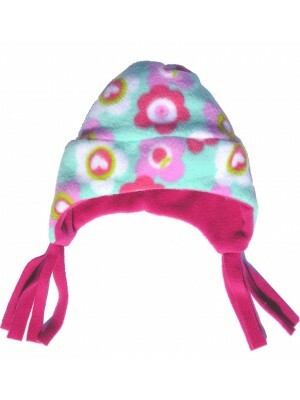 A gorgeous soft and comfortable nordic hat made to keep the ears warm with a lovely pink fringed trim. Fabric Content – Polyester Garment Care - Cool machine wash. ..
Beautiful summer shorts, completely reversible with a soft elasticated waist. 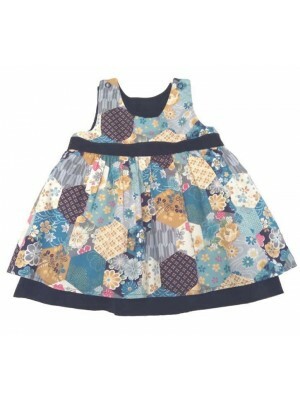 Fabric Content – 100% Cotton Garment Care – Cool machine wash ..
2 cute little pinafore dresses at a fantastic price. We have a selection of colours and designs along the same theme and we will choose 2 pretty ones to send you. 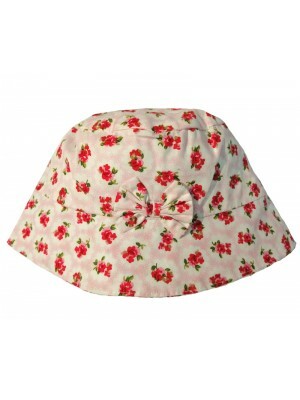 If you have a colour preference tell us in the comments box and we will do ..
A lovely fresh cotton reversible sun hat ideal for any little girl and matches perfectly with our Little Darling pinafore dress. 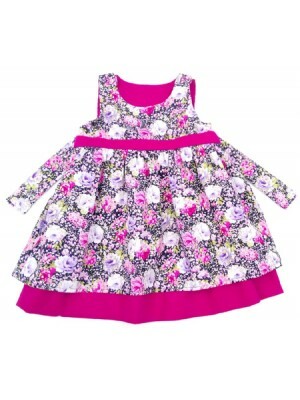 Fabric Content – 100% Cotton Garment Care – Cool machine wash ..
A beautiful reversible dress with a tropical lilac floral print on one side and lilac stars on the other. A sash that can be threaded through to be worn on both sides. Popper openings at the shoulder. 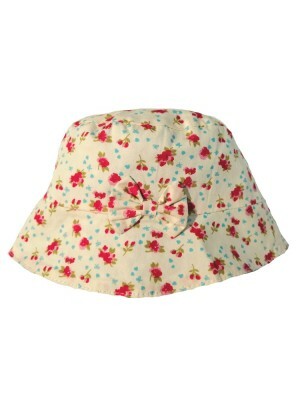 Fabric Content – 100% Cotton Garm..
A mass of flowers on a cotton print one side and a cerise needle cord on the reverse. Popper openings at the shoulder and a trim on the front. 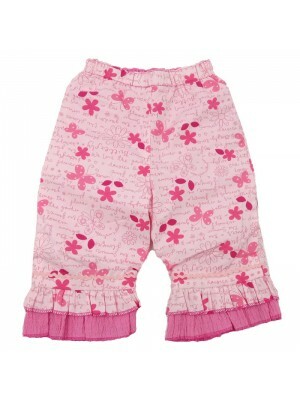 Fabric Content – 100% Cotton Garment Care – Cool machine wash ..
A set of 2 pairs of reversible cropped trousers. 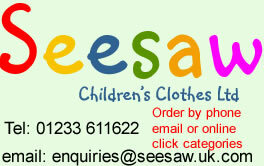 These are a fantastic price because the fabrics and colours may vary from those featured in the picture. They are all very pretty!! If you have a preference of colour i.e. blue, pink ..
A fine needlecord lining with a cotton print on the outside with a pretty bow on the front. 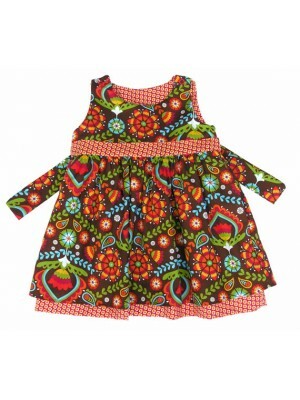 Fabric Content – 100% Cotton Garment Care - Cool machine wash ..
Our Amelia pinafore dress will brighten up any dull day. 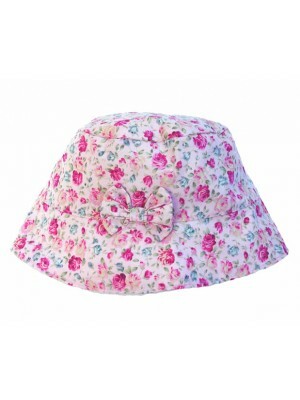 A soft and pretty needlecord on one side and a floral cotton on the other. Popper openings at the shoulder and a sash that can threaded through to be worn on both sides. Fa..
Reversible winter dress with a navy needlecord on one side and a tartan on the other - popper openings at the shoulder. 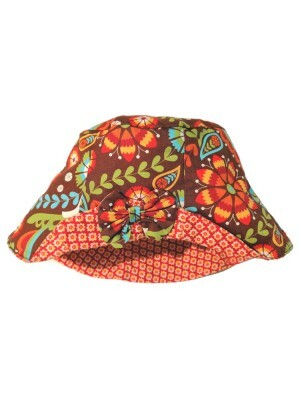 Fabric Content – Cotton / Viscose Garment Care - Cool machine wash ..
A cute little washable reversible cotton hat with a cream flowers on one side and a turquoise print on the other. Fabric Content – 100% Cotton Garment Care – Cool machine wash ..
A needlecord and cotton reversible pinafore dress with popper openings at the shoulder (we may have a hat to match at £3 mention in the comments box if you would like one and make sure you leave your phone number) Fabric Content – 100% Cotton Gar..
A cute reversible sun hat with a pink cotton print on one side and a blue on the other. 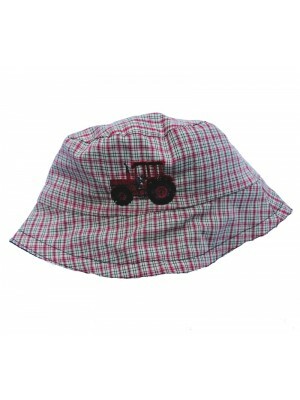 Fabric Content – 100% Cotton Garment Care - Cool machine wash. ..
A soft and cosy fleece hat to keep the head and ears warm on a cold day. Fabric Content – 100% Polyester Garment Care – Cool machine wash ..
Reversible cropped trousers with an elasticated waist. Fabric Content – Cotton / Elastine Garment Care - Cool machine wash. ..